In 2019, content marketing revenue will exceed $300 billion. This increased interest means only one thing about content marketing – it’s helping businesses achieve their marketing goals. Business owners and marketers will do well to update their content marketing knowledge and skills to accelerate business in 2019. That’s why we have put together a list of the best content marketing conferences in 2019 for you to consider attending. Side note – Interested in having a team of experienced and skilled writers fuel your content marketing at a reasonable price? Contact us today. 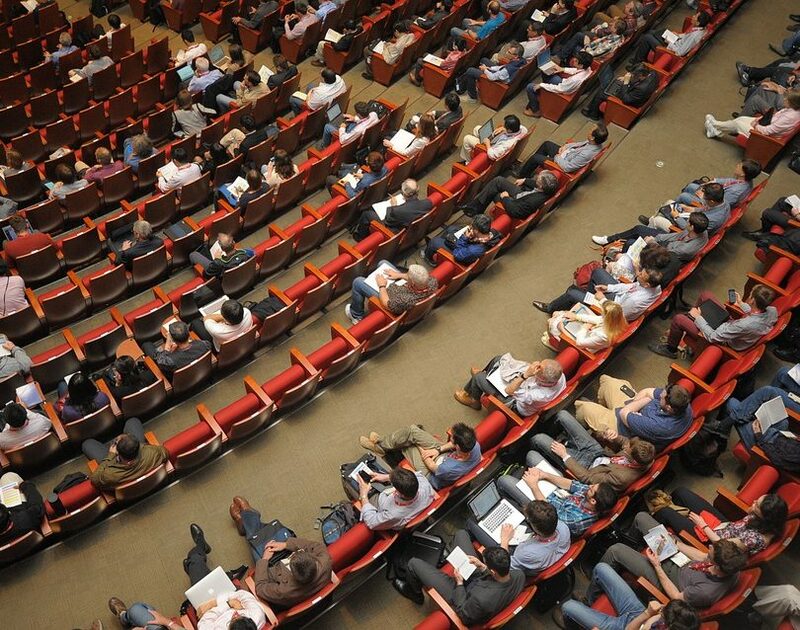 Here’s a list of 2019’s content marketing conferences, along with a short description of what they have to offer. Email marketing isn’t dead yet. In fact, according to a recent Campaign Monitor study, email marketing has an ROI potential of 440%, promising an average yield of $44. However, last year’s email templates and subject lines won’t work on next year’s audience. That’s why you should consider attending Mailcon where you can learn and adopt the latest strategies from experienced experts. People are continuing to trust in others like themselves over brands, according to Edelman’s annual trust barometer. That means that 2019 is a great time to initiate or reinforce your affiliate marketing efforts. Attend Affiliate summit to learn the latest content marketing strategies being used to drive affiliate marketing. As people become more dependent on the internet for daily necessities, retail will continue to face more challenges. Retail marketing is a rapidly evolving marketing discipline helping retail outlets keep up with the fully developed online shopping industry. If you’re a retail outfit owner or marketer, you can expand your skills and network by attending NRF. If you wish to interact with the best minds in PR, advertising and content marketing, AdExchanger’s Industry Preview is where you should be, this January. Learn how global eCommerce giant Amazon optimized its online advertising from the company’s VP or performance advertising and understand customer behavior trends for 2019 from Telaria’s CEO. The Web-Mo expo is part of Japan’s week-long IT conference that features the latest developments in technology and engineering. The Web-Mo expo focuses on marketing technology development in the areas of Artificial Intelligence, automation, video advertising, and AdTech. Experts from PR, content marketing, advertising, and sales come together to create the best networking and discussion event that you can experience in person. Content marketing for products is a competitive industry. In fact, product marketing, as it is known, is a rapidly evolving niche with new strategies being used every day. To learn these growth hacks from Product Marketing executives from companies such as Adobe and Nordstrom, signup for The Accelerate Conference. Additionally, you can expect a focus on analytics with Google’s own representatives appearing as keynote speakers at the conference. What better way to get the creative juices flowing than participate in a think tank with other marketing experts? Next January, you can kick-start your marketing year by seeking inspiration from SEO, PR and content marketing experts at the Traffic Think Tank in Philadelphia. If you can’t make this one in person, you could consider attending the online version of this seminar. If analytics is your content marketing vice, then this conference offers you a way to overcome it. Superweek is a five-day analytics-focused conference when you can learn to set smart content marketing KPIs and track them for better results. If you are attracting tons of traffic but struggling to convert it, Superweek can introduce you to experts who will solve that problem. Network with conversion experts who can rid you of all of your content marketing nightmares at Superweek. Many entities have to function effectively for an online business to sustain. From the registrars to the web hosting companies, attorneys, brand managers, and financial service providers, business owners have to collaborate with various parties to make their business successful. To network with such entities and enhance your industry presence, attend NamesCon Global in January. Search based marketing continues to be one of the biggest ways to drive traffic to a website. If you’re interested in learning the latest developments in SEO and SEM, try and participate in the Search Marketing expo in San Jose. The conference aims at discussing how best to drive traffic and enable conversions through online search engines. Who knows, this conference could be what transforms your business in 2019. Web and blog technologies are at the heart of every online business. If you’re an entrepreneur, executive or business owner with stakes in an online business, this conference is where you should be in February 2019. Among the topics discussed at the Hosting & Domain Conference will be domains, SEO, right hosting, data security, blogging and analytics. After GDPR, and several data security breaches in 2018, this conference has a lot that businesses of all kinds can learn from in 2019. Social Media Week is a globally renowned conference for being the best networking event for social media marketers. Regardless of whether you’re looking for new partnerships, jobs, funding or ideas, Social Media Week has a place for you. Industry stakeholders, internet celebrities and the hottest bloggers are all usually a part of Social Media Week, wherever it is held in the world. The conference offers several casual networking sessions where you can build invaluable relationships with the right companies and individuals. With its primary aim being the promotion of data focused digital commerce, the Savant eCommerce conference is a great platform for eCommerce platforms planning to expand in 2019. Offering talks featuring key insights shared by the most successful executives, the Savant eCommerce conference offers much in terms of networking and knowledge to participants. To stay relevant in 2019, you will have to embrace data and study emerging marketing trends to expand your business. This conference can help you get started. The London Affiliate Conference is not only focused on discussing affiliate marketing strategies but also on earning attending companies solid, new business. The conference was created to enable the networking of potential affiliates, partners and ambassadors to help companies expand their own exposure and business. If you own a business in London or are helping one with marketing, this is a conference that you shouldn’t miss. Advertising is complementary to content marketing for many businesses. If yours is one such business, you will benefit from attending the Programmatic conference. At the conference, you can look forward to keynote addresses and fireside chats focused on Programmatic advertising and its comparison to content marketing and native advertising. The conference promises key insights into business advertising strategies. Promising to go deeper and wider than most other conferences, YoastCon is a conference focused on SEO. AS most content marketers would know, SEO is a science that involves so very many sub-areas. Most information available on the internet covers only the surface of what actually constitutes SEO. At YoastCon, you can expect to learn the latest strategies from SEO savants such as Rand Fishkin and Joost themselves. Running an eCommerce business is no easy job. You have to deal with everything from product curation to the development and operations of a complex online platform and the constant need to attract customers to keep your business afloat. eCommerce Fair Japan is a conference for eCommerce business owners who have a market in Japan. The conference promises to share eCommerce solutions, strategies and services that can simplify the way you run your business. If you wish to learn digital marketing strategies for 2019 from the executives who manage marketing for the likes of Nike, AirBnb, and SAP, the Digital Summit is for you. At the conference, you can explore in detail various marketing disciplines such as content marketing, email marketing, search marketing, brand storytelling, data and analytics, and digital marketing strategy. Focused on SEO and content marketing, The Advanced Search Conference, London, plans to bring together 26 search and content specialists to discuss the latest search and content trends. Designed to go into depth about optimising mobile search and mobile page speed, link building, and paid SEM and PPC, the conference will help SEO and marketing professionals get ahead in their respective fields. Covering a wide variety of niches in the digital space, 3XE Digital is one conference that all business owners and marketers should definitely attend. This conference aims to discuss conversion marketing for eCommerce companies, user experience designing, search marketing, SEO, and SEM. Guest speakers the likes of Mogens Moller, CEO and founder of Sleeknote, and Teresa Heath-Wareing, Director of THW Marketing will be speaking at the conference, sharing their learning and insights with attendees. If you’re a brand or individual content creator, VidCon is where you should be for the best lessons on content creation and marketing. With confirmed sessions on filming under a budget, working with influencers, monetizing content, and YouTube content marketing strategies, there are so many sessions relevant to the challenges faced by today’s content creators. GDPR has had a severe impact on email marketing. With major changes affecting the email marketing game, it’s important for business owners and marketers to reacquaint themselves with successful email marketing strategies. Email Insider Summit features accomplished marketers representing some of the biggest brands as speakers the likes of Alexander Bjerkendahl of Uber and Arno Selvini of Star Stable. The digital marketing conference focused on education, Converge 2019 is a 3-day event responsible for the congregation of CMOs, deans, digital specialists, and recruiters in the digital marketing space. The keynote speaker is Allen Gannett, CEO of infamous analytics firm, Trackmaven. The event also has in depth workshops on data analytics, research and creative strategy, and digital advertising. Retail in today’s world is super competitive. With several eCommerce businesses competing for a finite audience in each niche, making a mark in the eCommerce/retail industry can be seriously challenging. eTail is an eCommerce and omnichannel marketing event trying to address this very real issue. Featuring executives from top eCommerce brands such as Amazon, Dollar Shave Club, and Kohl’s as speakers in its line-up, this event is one that you don’t want to miss. Aimed at bringing together performance marketers, Rakuten Dealmaker is an event that will provide the perfect platform for collaboration and learning from other marketers. At the event, you can attend sessions to improve your knowledge about everything from business planning to online marketing. If you are planning to attend an event that overall improves your business management and marketing skills, this is the event to attend. Note – This post will be updated each month. Stay tuned for more events happening later in the year. What is Predictive Marketing? How Will It Transform Facebook Marketing as You Know It?